Untold and ugly fact about being a new mom…. Became pregnant was a miracle for me and my husband. By God grace my whole pregnancy period went on a super ride, all happiness around. Everybody pampered me , in the family , at workplace everywhere. I was enjoying the beautiful phase of life. By the starting of my 9th month I started waiting to take the lil life inside me in my arms. I use to think what am gonna do when the lil one will come. Whole day I think and discuss with my mom, mom in law, husband, colleagues that I gonna do this and that and bla bla…. I always ask myself and my baby inside “ tum kab aaoge Bahar"..
Room because of the character ‘Bahu’ I liked. Then with great excitement and lil fear I went for operation. The moment I heard the cry of my baby a tear rolled out of eye, desperately waiting to see the baby I was thanking God again n again ;for the gift. The moment I saw ‘him’ I try to kiss him and requested my Dr. That I want my husband to take him first. Little unconscious ;shifted to my room I was continuously asking that where is my baby? Please bring him to my room only. As he arrived I slept peacefully for hrs. It was a C-section so I was unable to breastfeed my baby for 3 days and this made me cry .. I asked my Dr. to solve my problem , he consoled my that It will be fine soon and no need to worry. Meanwhile ;he suggested me that I have to adjust now as from now life will get change. I thought that why he is saying so? I smiled and ignored the suggestion. The day we were suppose to get discharge from hospital we get to know that baby’s bilirubin is bit high so we need to stay in hospital for one more day and baby to be kept in NICU for phototherapy. Again I don't felt good and for the whole day I was depressed as my 4 days old baby was not with me. Then and there only I decided that I will leave everything behind to take care of my baby and after reaching home I will not leave him for a moment. Next day with a dream to enjoy motherhood I left the hospital smiling with my baby in my arms. I reached my home it was decorated with balloons,I went to my room and slept for hour. In the evening when I was feeding him some mood swings took place I was feeling lil sad, I dont know why? 2-3 days passed and I feel myself depressed. I talked to my Dr. He said it's normal not to worry. In the initial stage I was not knowing any reason but as I started analysis everything I thought was a reason. ;Starting with : bathing with hot water ,body massage, eating food, drinking boil water, feeding my baby, not getting time with husband, etc these silly things even I found as reason of my depression. Suddenly I started comparing my current life with my past life this made me more depressed. As per my nature I started googling it and find two terms “ BABY BLUES” & “ POSTPARTUM DEPRESSION” . Ealier term was the one which goes for 2 weeks only and later one was a bit serious one that can go UpTo 6 months even. Only 2 days were left to complete the estimated duration of baby blues. And the stage of depression I was on makes me confirm that it is PPD. I forget to smile , eat, sleep, everything. I was unable to understand that I got the most precious gift of my life still I am unable to enjoy and why I am not paying attention to him? Crying all day frustrated me. Spices were added by family members when they started making fun of me and my depression . I was unable to make them understand the condition I was going through. The only person who was handling and dealing ;with me was my partner. I use to cry whole night in front of him. Dr. Said not to take anypills as my baby was ;exclusively ;on breastfeeding and it may somehow affect him even. ;Spending my whole day counting each and every hour was my routine. Not feeling good at anyplace, completely depressed I use to call and msg my Dr. His counselling makes me feel better atleast for few hrs after that I found myself crying again. ;My people suggested to do many things religious as well as stupid things. When my colleagues came to know about it they started visiting me daily for some time . But still the day means 24 hrs. After many counsellings my Dr. As well as my partner suggested me to stop analysis about the situation and go with the flow, to write something for my baby , to read , to do some pranayam etc. After N no. Of efforts I started feeling a bit ok. Still waiting ;to get normal. If u face any such thing please then and there only stop negative thoughts. Don't compare ur pre delivery life with post delivery . Discuss your situation with your Dr. , partner , mom or whosoever understands you. Don't feel shame to ask for help to handle the baby. Try to enjoy every moment as your baby’s this age will never come back. Put on your favorite music, slowly but it will be effective. 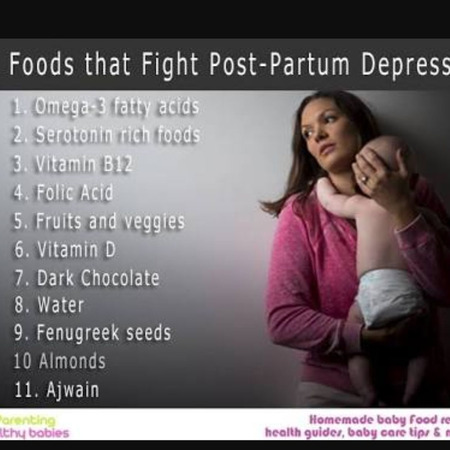 Please pay complete attention to your baby as your 2-3 months depression phase may affect the whole life of your baby. PPD though untold and ugly but can be treated well if we want to. Happy deliveries ;to all expecting MOTHERS. hii dear... isthis your personal experience? Yes... Still trying to recover from it. Namni Londhe dear ! It takes a lot of courage to pen down all the pain in this way at one place. When i go through any lows in my life, i fall shory of words only. Not able to utter a single word to express myself or explain my feelings to anybody. I feel caged within myself. Yes, everybody always talks about the good things of mothehood nobody picks up PPD ever. Hats off to you dear. We are all here with you. More power to you. You will soon feel better as things will settle down. U also know change is the only constant in this world. And that any kind of change is not easy. It takes time to get used to the change. But this beautiful change from wife to motherhood is a major upheaval in a woman's life after puberty. Just the way we managed to deal with puberty at an young age, you ll also manage to be comfortable in motherhood dear. Just hang in there. Have patience. More love and power your way. 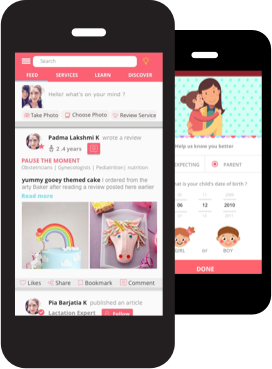 These articles on BABYCHAKRA have inspired me a lot dear. Neha Singh .... Trust me it may take tym but u have to be strong because as per my experience if we r broken we lost our importance. You panned down all the things so well but in such a easy language not in some highly elaborated words. You are a brave girl. .I know this phase is not so easy to handle spcly when you are alone. You have your husband a a support system and you will recover from it soon. I hope ppl start understanding this problem as serious one. Dont worry you will soon come out of this phase you just need to talk more and more don't hold things inside you. Don't worry what ppl will say or judge just do what makes you and baby happy. Go out for walk. Talk to someone who you feel can understand you better. I have gone through this I know how it feels. In how much time u was completely normal??? Speaking your mind out and treating yourself as human being can only help you. You are human being first then anything else. Only a happy mother can raise a happy child. Make yourself happy and then see change. Dont go by old rules regulation tradition. Just make your own rules "rules to live life happily"